If September is usually a signal of the end of summertime in most cities, then LA does not operate within the same rulebook. Known for its endless summer season all year long, its golden sandy beaches and its perfect weather, LA is the place to go if you wish to prolong your summer vacation and hold off the harsh winter season a little longer. From the moment the hostess on the plane greets the passengers “welcome to LA”, you know you have reached a safe summer haven, disconnected from the rest of the world. Notorious for its heavy traffic jam, LA streets become way more relaxed in the month of September. With less cars and less crowds, and beautiful tall palm trees ornating the roads, LA is very inviting during this time of the year. LA caters all different types of crowds. If you are a foodie, make sure to go to the Ivy on Robertson Boulevard. The upscale Californian cuisine is presented in a stylish and buzzy setting that will most certainly kick off your day just right. The restaurant consists of prettily decorated series of country-cottage rooms, with a flowery outdoor terrace that is renowned for being a celebrity hotspot. From English actor Patrick Stewart, to rapper Lil’ Kim, to Ciara and Kim Kardashian, the list of celebrity sightings is long. You might also want to try the restaurant Matsuhisa, named after the celebrity chef and famous restaurateur known for his fusion cuisine blending traditional Japanese dishes with Peruvian ingredients. Matsuhisa is actually the chef’s first restaurant ever opened. The great mastermind is behind the A class Nobu, named after him – Nobuyoki “Nobu” Matsuhisa. Another must is the Italian restaurant Madeo. Madeo is renowned for its delicious traditional Italian cuisine served in a white-tablecloth dining room. Its infamous wine list and succulent desserts are amongst the many assets that make Madeo a top attraction for celebrities and food connoisseurs. And for the foodies who have hopped on the green and organic bandwagon, Urth Café is where you want to be! Super sceney and trendy, you often bump into celebrities grabbing a healthy matcha tea or devouring a delicious yet low calorific salad. 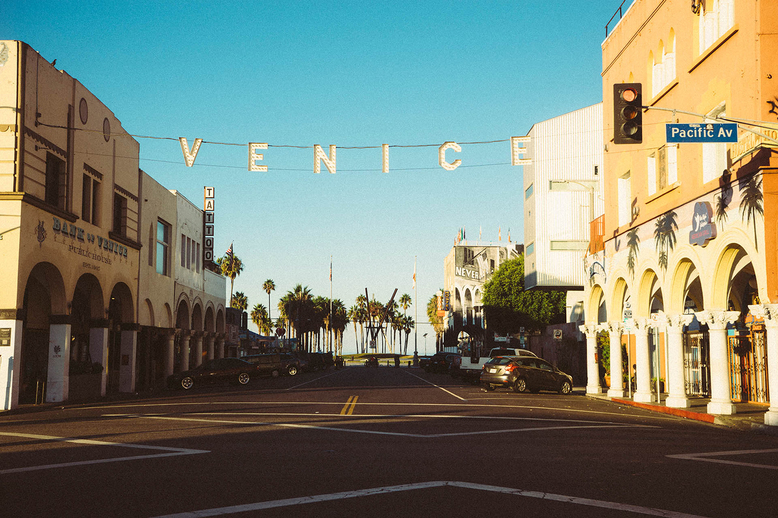 LA also has quite a noticeable therapeutic side – and no, we do not mean the one related to the cosmetic plastic surgeries that are oh so common there. Aside for being an ideal food therapy destination, LA is perfect for some retail therapy, and caters to different styles. Rodeo Drive is a two-mile long street in the heart of Beverly Hills that has become the home to the epicenter of luxury, fashion and lifestyle. The three blocks compile endless luxury goods stores enough to quench any shopaholic’s thirst. However if you are looking for something less commercial, you must shop at both concept stores Maxfield for high-end brands and H by Lorenzo if you prefer avant-garde garments - Guaranteed that you would stand out with your fashion style. Other stores worth visiting are Union and American Rag. If you choose to enjoy a sunny day at the recreational Venice beach soaking up the last rays of summer sun, you will be bound to be exposed to some really fit figures. This is why it is pretty much impossible to slack off on your summer body in LA. With envious bikini sights at the beach, LA is a constant reminder of the importance of working out and staying in shape. LA is the home of Soulcycle, which has forevermore revolutionized the cycling industry. The one of a kind rock star instructors guide the riders through an inspirational and meditative fitness experience that takes place in a dark candlelit room to high-energy music. This cardio party is designed to benefit the body, mind and soul. For those who prefer outdoor and more adventurous activities, the Runyon Canyon Park promises you great hikes and breathtaking views along the way. If you are looking to spend a chilled educational afternoon, why not hit up the One Café on Wilshire Boulevard, followed by a cultural visit to renowned art galleries and museums such as the likes of Blum and Poe on La Cienga Boulevard. 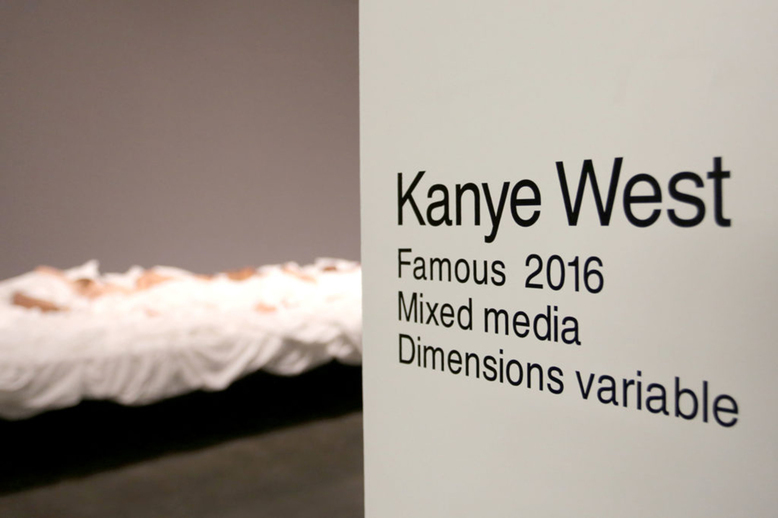 In this contemporary art gallery, and for two nights only, Kanye West most recently held his exclusive “Famous” exhibition, featuring life-like sculptures of twelve naked celebrities who initially debuted in his controversial music video “Famous”. 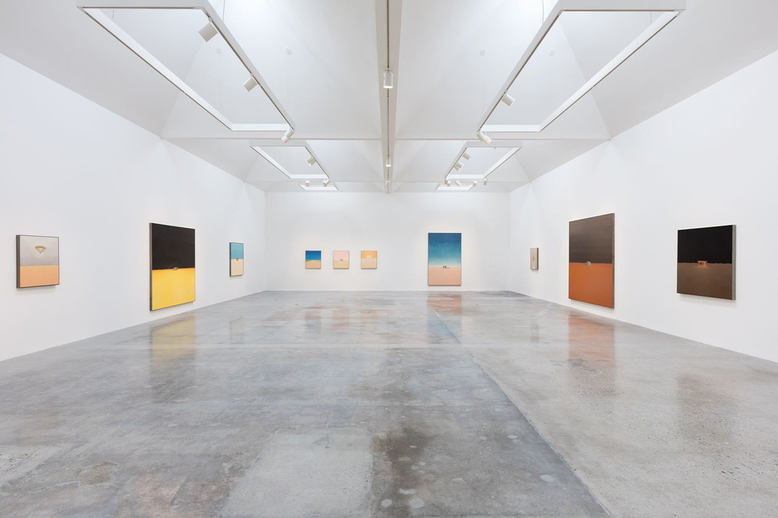 Another gallery worth visiting is the Kayne Griffin Corcoran which hosts exhibits by major contemporary artists David Lynch and James Turrell. In addition, there is also the J. Paul Getty Museum, commonly referred to as the Getty, is an art museum in LA and a cultural sanctuary that you should not miss. For those who like to party, LA does not disappoint either on that level. 1OAK and Bootsy Bellows are two nightclubs that will undoubtedly spice up your evening in LA. Odds are you might need one or more bloody Marys the next day at the beach to cure that hangover of yours! If you decide to come to LA, the Beverly Hills Hotel offers you a five star luxury accommodation, brought to you by the Dorchester Collection. Over the last century, Hollywood A-list stars have enjoyed the timeless glamour and seamless service of this hotel. Located on Sunset Boulevard, in the centre of Beverly Hills, the hotel is surrounded by 12 acres of lush, tropical gardens and exotic flowers. Its Polo Lounge restaurant is cult and has been featured in many movies. Renowned rapper Drake has even quoted the Polo Lounge is one of his songs called “Stay Schemin” featuring Rick Ross: “eating spaghetti Bolognese at the Polo Lounge”. However if you are looking for a more secluded stay, Hotel Bel-Air, also by the Dorchester Collection, is a fitting choice. The Spanish mission-style retreat is nestled in 12 acres of landscaped gardens and is a sanctuary for all those looking to escape the city’s bustling traffic jam and cluttered areas. Hotel Bel-Air is home to many celebrated personalities who go to relax and rejuvenate in style. 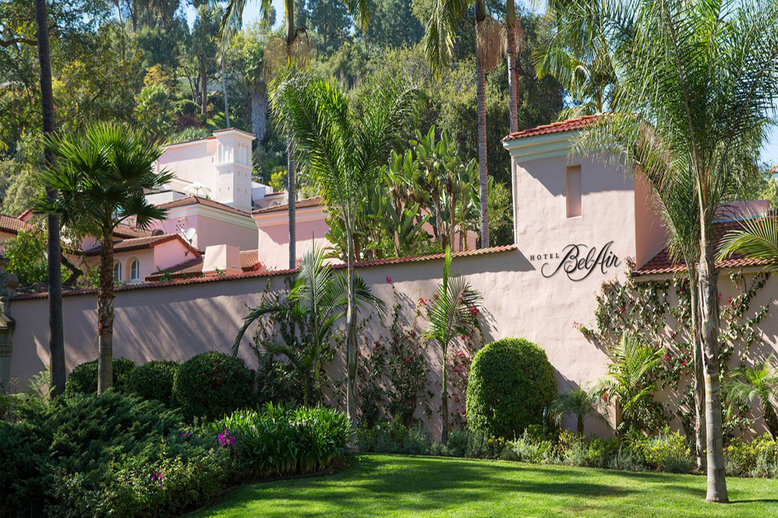 Located just minutes from Beverly Hills and Los Angeles’ most popular attractions, Hotel Bel-Air is regarded as one of the most beautiful hotels in the world. As soon as you set foot in the hotel you feel as if you have been transported out of LA. Between the exquisite swan lake and strolling through the stunning paradise gardens, Hotel Bel-Air is a true Californian Oasis. So there you have it, the versatile city of LA is the perfect destination for travelers of all types, profiles and preferences. Whether you are a foodie, a beach bum, a workout junkie, a party animal, a cultural and art enthusiast, someone looking to relax and escape the city’s intensity, LA has it all for you. Therefore September is by far the best time to go there. When it is still warm, but not too hot. When it is busy, but not too crowded. When the traffic jam is not as bad as all year round and makes you think twice about ditching your car where it is and just walking the distance. Just when you thought your summer was coming to an end, LA offers you a loophole in the seasons’ rulebooks by providing you with an endless laid-back summer. LA is the perfect last summer destination in which you will have the luxury to kick back, relax and disconnect form the outer world. It is undoubtedly the most ideal last summer pit stop in which you can re-centre your energy and reboot before the work mania kicks off again, before you have no time for yourself and return to the viciously hectic real world of jobs, deadlines, stress and limited – if any - sleep.